With OS X Yosemite, released just a few months ago, Apple has unified some of the features with their iOS counterparts. 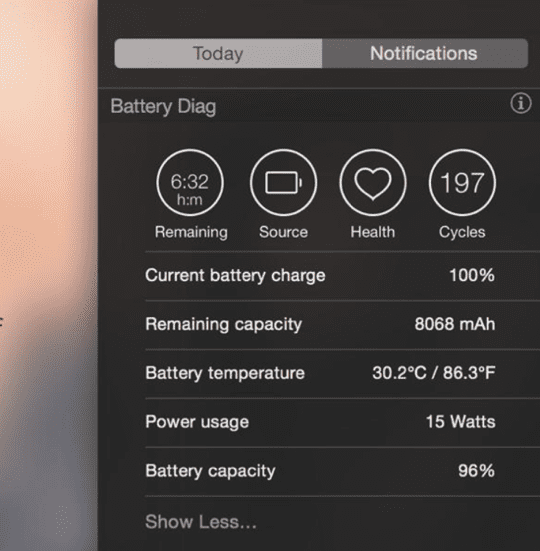 In particular, the ability to add widgets to your Mac’s Notification Centre is a very welcome addition, which makes the feature that much more useful. There is a fair selection of widgets already available in the Mac App Store, and that selection is steadily growing. 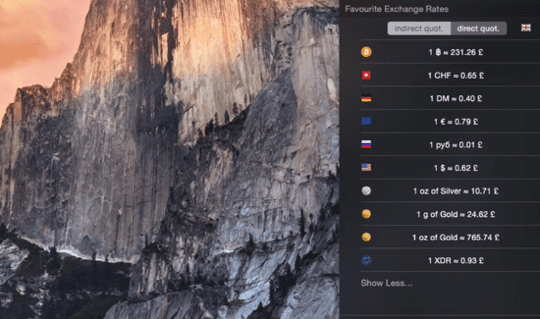 In this article, we provide a brief guide to customising your Today screen as well as list some of our favourite Yosemite widgets. Before we go on to list some of our favourite widgets, it’s worth having a quick recap to remind ourselves how to customise the Today screen. 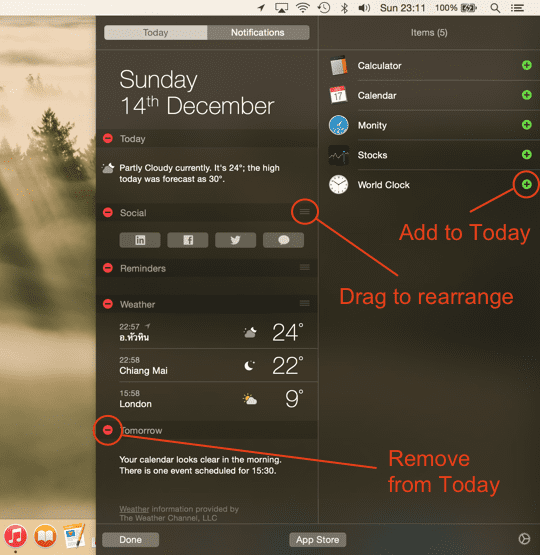 The first thing you need to do is to bring up the Notification Centre – on a laptop with a trackpad this involved swiping from the right (off the edge) of the trackpad into the centre with two fingers, as long as you have just kept the default gestures. 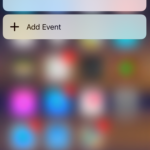 Once the Notification Centre appears, make sure that the Today screen is selected, rather than Notifications, and you should see some of the built-in widgets and their associated information such as Weather and Social. Next, scroll down to the bottom of the list and click the Edit button. You will now see an extra column (labelled Items) appear which contains a list of widgets that you can add. Click the small green “+” button to add a widget into the Today view. Likewise, in the left-hand side column, you can also click the little red “-” icon to remove an item, or just drag the items into the desired order. There is an iOS-style ‘grab handle’ represented by 3 horizontal lines which appears on the section header for each widget – just click and hold that and then drag the item up or down until you’re satisfied that’s where you want it. Once you have added or removed the items you want, click the Done button or just right-swipe (with two fingers) the Notification Centre back until it disappears. 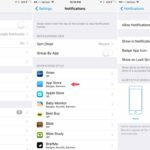 There is also an App Store button which (strangely) launches a web page which then itself launches the App Store at the Notification Centre Widgets page – there are currently 18 widgets listed, but no doubt more will be available as time goes on. From the App Store, you can pick and choose which widgets you’d like to install. They are installed on your Mac just like any other application, and visible in your Applications folder or from the Launchpad. It’s important to realise that if you remove any widgets from the Today view, the app itself is not uninstalled – it remains on your Mac until you remove it just like any other app! Here’s a quick rundown of five of our favourite widgets. They all offer quick at-a-glance access to information, and it’s a really handy way to get updates without having to launch the actual apps. 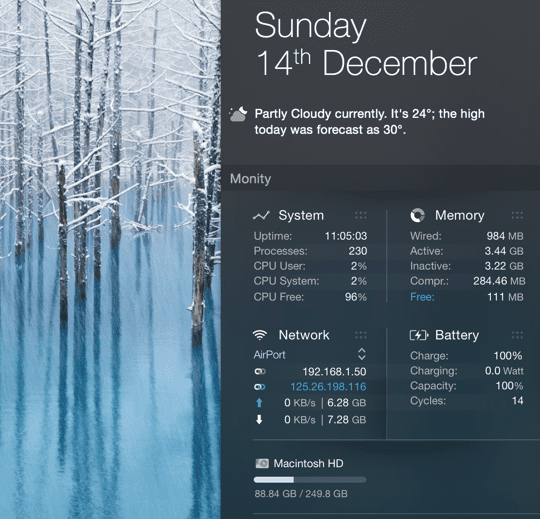 Monity is a system monitor tool, which includes a standalone app and a Today screen widget. If you’re one of these people that prefers not to have System Monitor open all the time, Monity lets you view fairly detailed information with just a quick swipe. It includes categories such as System, Memory, Network and Battery. Perhaps you want to check the status of your parcels (especially at Christmas) without having to go to a website and laboriously enter lots of different tracking codes? Deliveries allows you to do just that, and works with all the major parcel delivery companies such as FedEx and DHL. 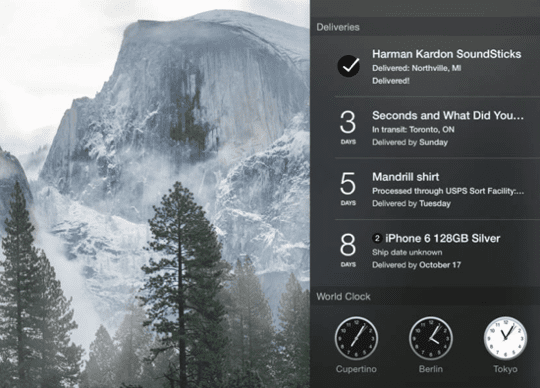 Deliveries is also comes as a standalone application which displays a summary of your various packages and counts down the days until they are expected to be delivered. 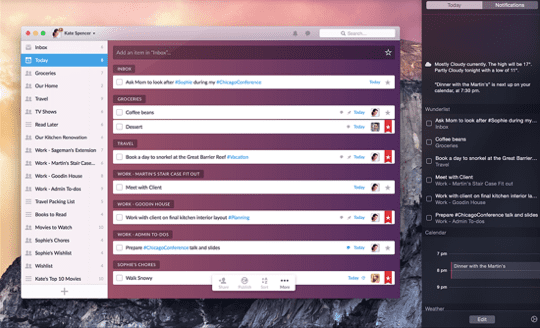 Wunderlist is one of those really useful list managers, which lets you create lists pretty much from anything. 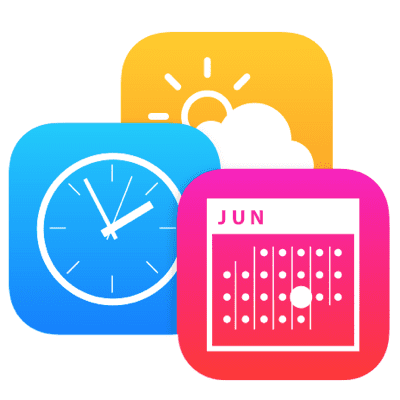 It’s a useful app which synchronises everything between all your Apple devices, and has much more functionality than Apple’s built-in Reminders app. Sometimes it an be incredibly useful to have the latest exchange rates just a swipe away, for example when you’re filling in expenses claims for work or need to know the latest rates before you go on holiday. The app focuses on simplicity and just presents a quick summary of all your favourite currencies. If you own a laptop, then being able to check the status and health of your battery is indispensable. The widget provides a great summary in your Today screen – including time remaining, current charge and the number of cycles, as well as more detailed information such as the battery’s actual temperature. 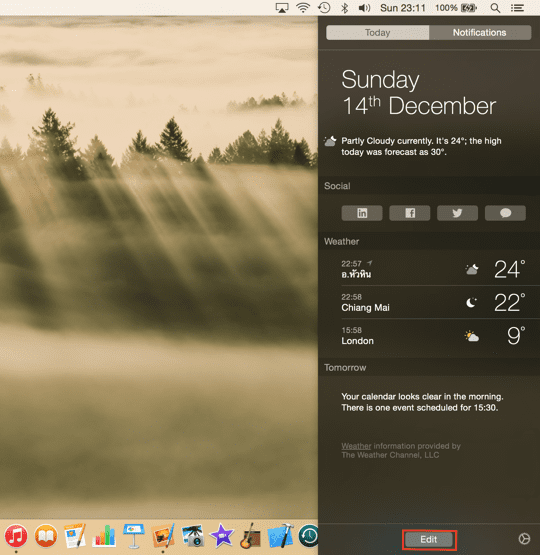 The details are also available from a shortcut in your Mac’s menu bar. There you have it – a quick rundown on how to customise your Today screen, as well as some of our favourite widgets. Hopefully, there will be many more to come in the Mac App Store in 2015. 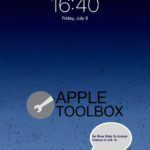 If you would like to know more about extensions and widgets in iOS 8, we’ve covered some of the cool stuff that you can do in Apple’s latest mobile OS in this article.